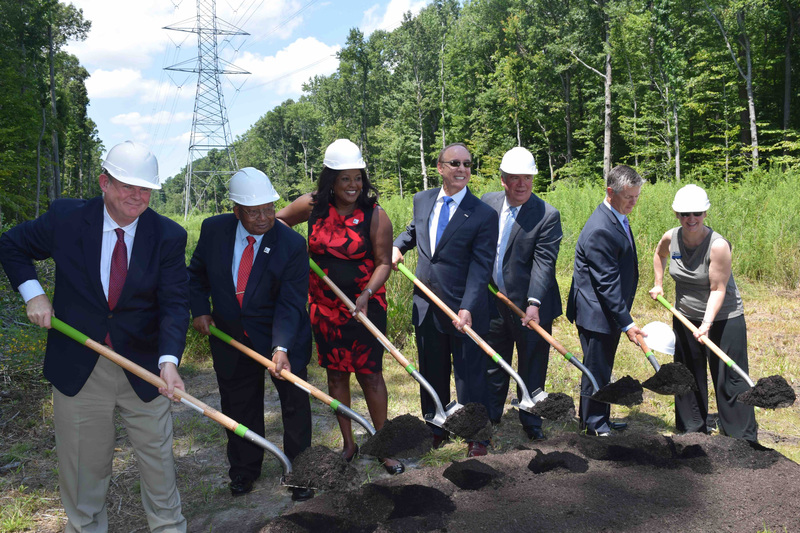 Second Act Communities, a nonprofit community development corporation, hosted the groundbreaking of Cypress Landing, an apartment complex which will serve low-income, disabled and homeless veterans. The land for the project, located behind the Chesapeake Regional Medical Center, was donated by the City of Chesapeake. Left to right: Art Bowen, managing director, Virginia Housing Development Authority; Jim Banks, Second Act Communities board chairman; Addie Wright Thomason, Second Act Communities president and CEO; Alan Krasnoff, mayor, City of Chesapeake; James Baker, Chesapeake city manager; Chris Sterling, chief development officer, Virginia Community Development Corp; and Sharon Shoff, Second Act Communities vice president. INIT Innovations in Transportation, Inc. celebrated the opening of its new North American Headquarters building located in Chesapeake’s Oakbrooke Business and Technology Center. The 67,000-square-foot facility was completed in June of 2017 and cost approximately $12.5 million to build. The building is constructed on eight acres of land, and the headquarters is now home to around 90 personnel, including 20 manufacturing employees. LifeNet Health, the top organ procurement organization and tissue processor in the world, will invest $12.25 million to expand its global headquarters operation in Virginia Beach. The company will expand in three additional locations throughout the city and add 321 jobs, which will make it one of the top employers in Virginia Beach. G2 Ops, Inc. a small, woman- and minority-owned (SWaM) certified businesses, has relocated and expanded its corporate headquarters in Virginia Beach. The company that provides systems engineering, cybersecurity, architectural analysis and strategic consulting will also add 10 new jobs with the expansion. 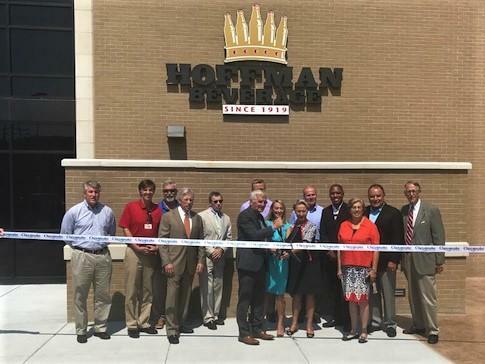 Hoffman Beverage Co. has consolidated two warehouse facilities into one Chesapeake location in order to expand operations. The new 253,500-square-foot headquarters is now home to around 180 personnel. The total capital investment of this project totaled $18.4 million. 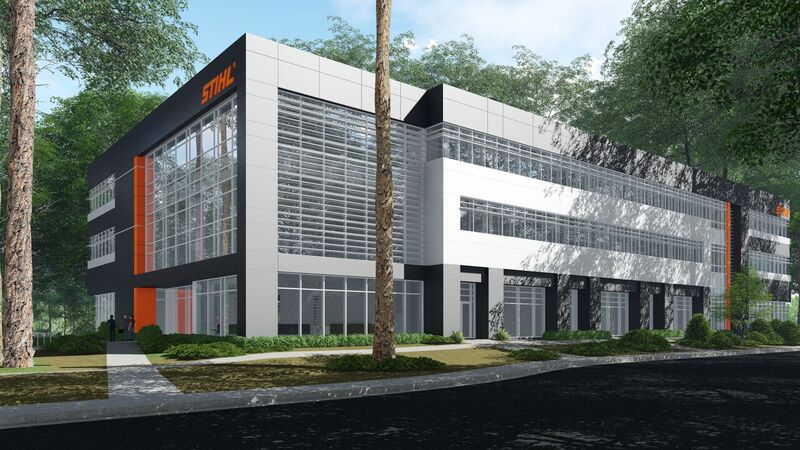 STIHL Inc. announced that it is moving forward with plans to expand its Virginia Beach facility with a more than $25 million investment in a new administration building and other campus improvements. Construction of the state-of-the-art, 80,000-square-foot facility is part of the company’s commitment to continual investment in infrastructure projects in support of growing U.S. operations. The new building will combine the Sales & Marketing, Finance & Controlling, Legal, and Customer & Technical Service teams under one roof. It will also house a brand experience and customer welcome center. Swedish furnishing retailer IKEA broke ground on its Norfolk location on Friday, Nov. 17, with Norfolk Mayor Kenny Alexander and Virginia Governor Terry McAuliffe on site to commend the occasion as the store will help bring hundreds of jobs to the city. The 338,000 square-foot IKEA is expected to open in 2019 at the corner of Interstate 64 and Northampton Boulevard. The Norfolk IKEA will have nearly 10,000 designer items, three model home interiors, 50 room-settings, a supervised children’s play area and a 450-seat restaurant serving Swedish and American cuisine. Additional family-friendly amenities will include a ‘Children’s IKEA’ area located in the showroom, baby care rooms, play areas and preferred parking. The Virginia Beach Development Authority has awarded Hermes Abrasives an Economic Development Investment Program grant for $125,000 for its $3.75 million expansion of real estate, business property and machinery and tools. Hermes, founded in Hamburg, Germany in 1927, is a leading manufacturer of industrial coated and bonded abrasives used in the automotive, aerospace, metalworking and woodworking industries. 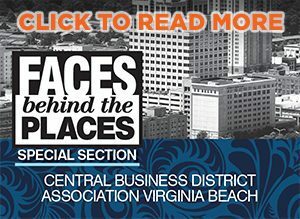 The Department of Economic Development was responsible for the initial location of the company’s North American headquarters to Virginia Beach in 1979 and has assisted the company with several expansions over the years. This most recent expansion by Hermes, at its U.S. headquarters located at 524 Viking Dr., includes additional equipment and employee growth at its 160,000-square-foot manufacturing plant located on the 14.75-acre site. The Virginia Beach manufacturing facility supports all of the company’s North American activities including exports to Canada and Mexico. The company currently has 161 employees with 12 new full-time positions having been added since the first of the year.